There seem to be two different “Nihoncha no hi”, the day of Japanese tea. One is October 1, the other one is October 31. 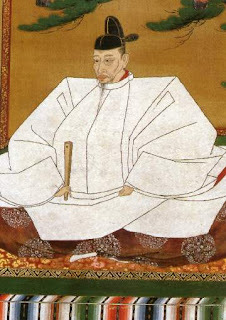 The former is decided by ITO EN, LTD to commemorate Grand Kitano Tea Ceremony held by Toyotomi Hideyoshi, a warrior commander, on October 1, 1587. The latter is set by a Japanese tea institution. It is believed that Yosai (or Eisai), a Buddhist priest, brought back some tea seeds and its manufacturing process from Sung to Japan for the first time on the day in 1192. Interestingly, I’ve found other tea days. According to my research, "Matcha no hi (Matcha day)" is February 6, and "Genmaicha no hi (Genmaicha day)" is November 1. I didn’t know that, ha, ha. Each institution and company has its own good excuse to promote tea. Hope it works! !